Having had 9 days off from work, I made the most of the end of the year. Two quilts start to finish! I also did the backing for a quilt I had finished a week earlier. Is this a sign of quilting to come in 2014? I hope so! 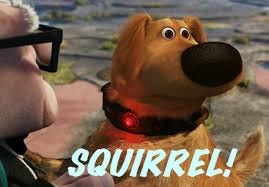 Soooo many projects lined up – some already begun, others just a glimmer. Quilt 1 – (No name yet) – I did this one with someone in mind. 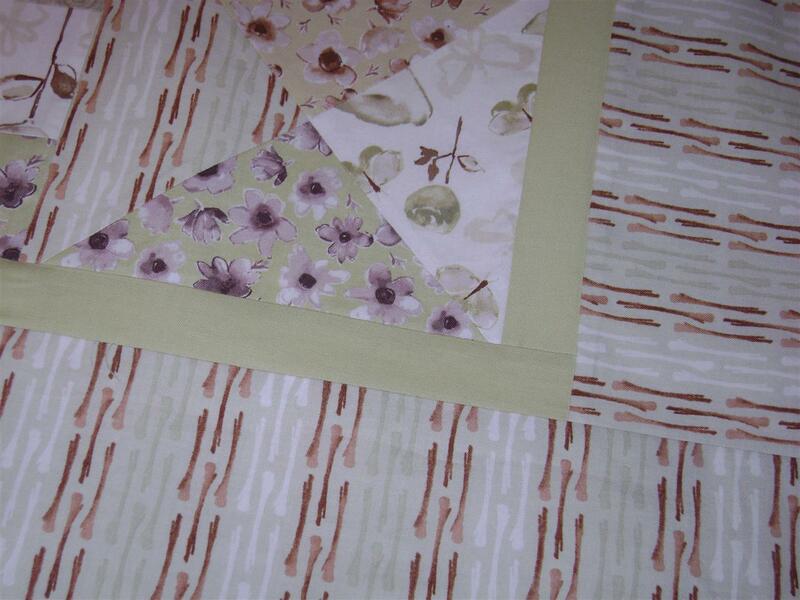 My quilts are not usually this soft in color, but I embraced it and liked the end result. What brought it all together was the light green thin border. The credit for that goes to my hubby – he has a good eye for color and can see things when I cannot because I have been looking at them for too long. This will go to the quilter very soon. 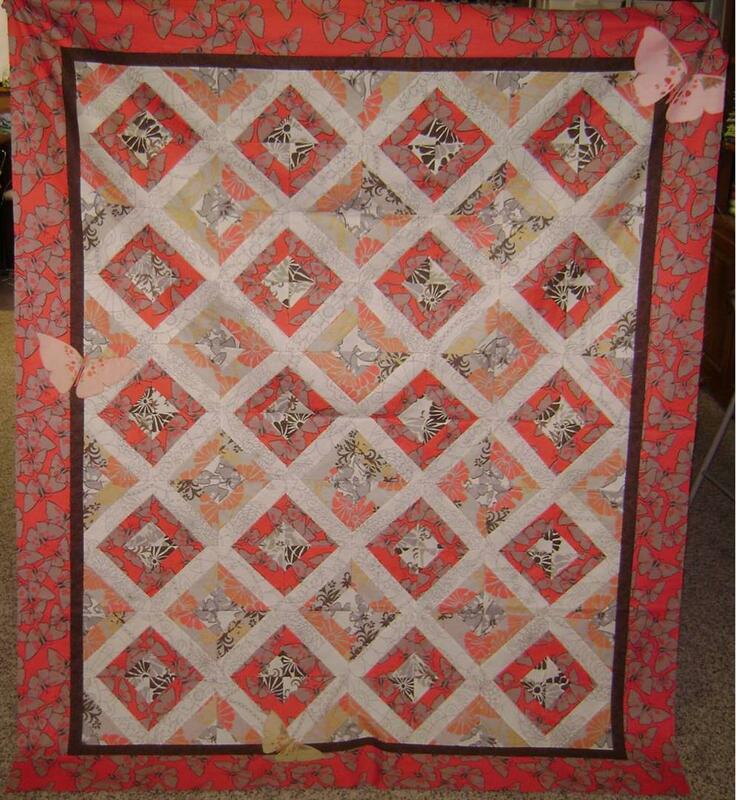 Quilt 2 – “Butterfly Dance” – Also done with someone in mind. I started off with a totally different pattern, but it just didn’t work. 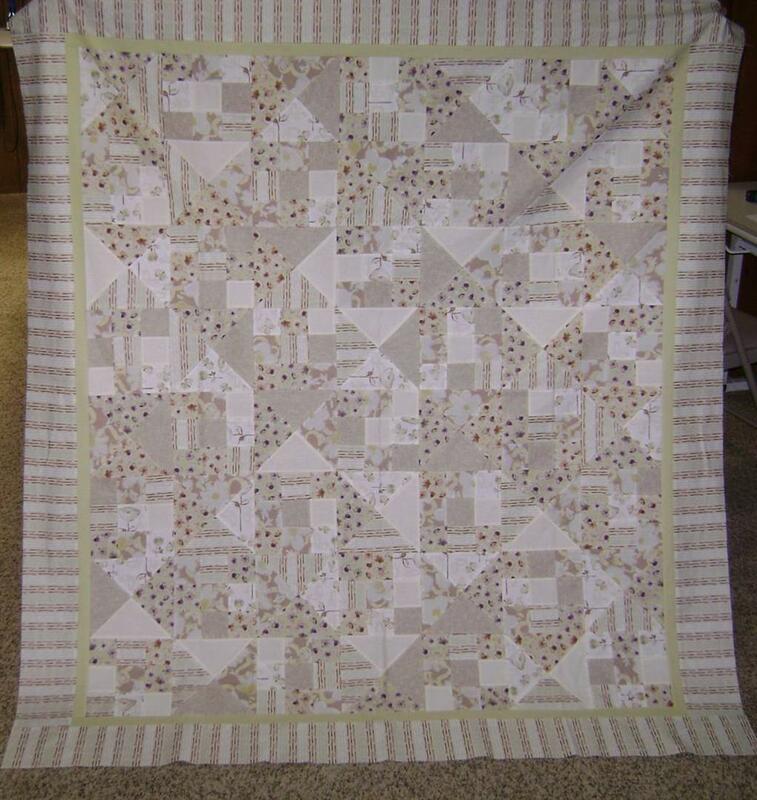 I did this string quilt using a paper backing. First time I used phone book pages and it worked great!! There are even few large fussy cut butterflies appliqued on the edges. 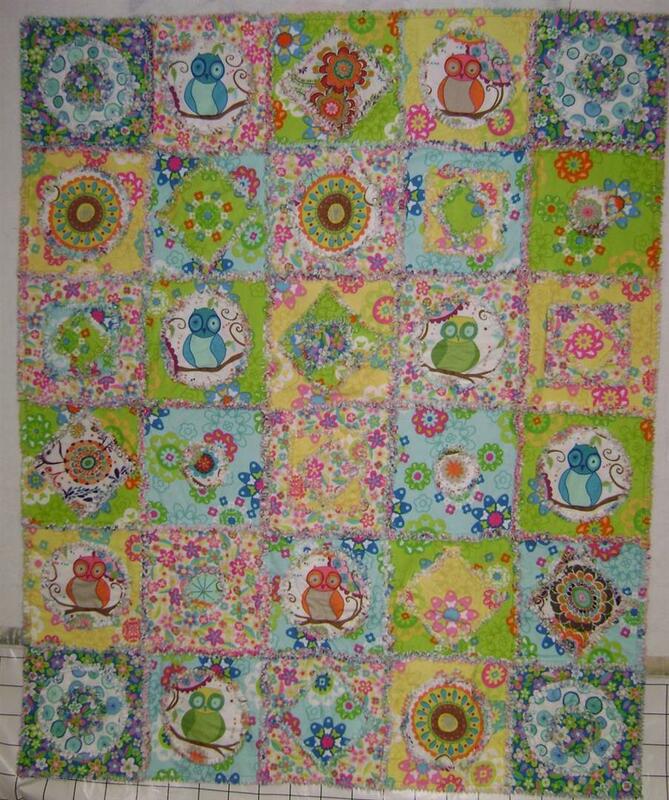 This too goes to the quilter very soon. 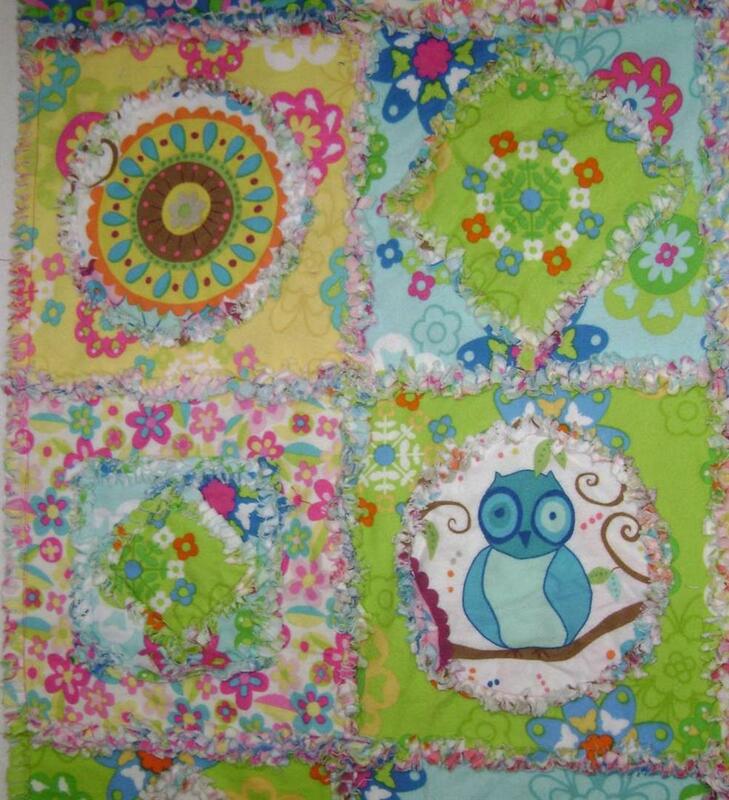 Quilt 3 – “Whoo Loves You?” – a fun rag quilt perfect for a little girl to get all warm and snuggly with on a cold winter’s night. I have quite a stash of pretty and fun flannels. This went together smoothly and was done in three days – a nice “in between” project. Now it’s on too choosing what to do next. A project in progress? A new challenge? Decisions, decisions! Posted in Quilting and tagged Quilting, Quilts. Bookmark the permalink.